Recent studies show performance is directly related to the ways in which our bodies and minds work together. 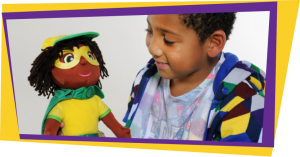 Our series of lesson plans based on the Karisma Kidz games and apps are designed so teachers can help children learn how to navigate their feelings and achieve their full potential. You can use the Karisma Kidz digital platform and specially crafted, comprehensive, lesson plans in class to promote emotional intelligence and improve concentration. Karisma Kidz is totally inclusive and is suitable for all primary school children of all abilities. And the Karisma Kidz app is compatible with white board technology so the whole class can visit Moodville. We also go into schools across the UK to train teachers how to start the school day with our mindfulness inspired breathing exercises. Staff and kids will benefit from taking ten minutes to settle, focus and breathe their way into greater clarity and concentration – just like the Karisma Kidz Superheroes!